Dr. Douglas Wood graduated from Texas Christian University in 1982 with a Bachelor of Science Degree in Biology/Chemistry. He also received a Masters of Science in pharmacology from the University of North Texas and a Doctorate in Philosophy in pharmacology also from the University of North Texas. He received his medical degree from the University of North Texas Health Science Center. He completed his post-doctoral training at Michigan State University. He has held academic faculty positions at the University of North Texas Health Science Center, University of North Texas and Michigan State University. 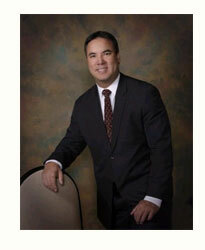 Dr. Wood is Board Certified in General and Family Practice. He has 15 years experience in working in Emergency Rooms. He has held various hospital positions including Quality Assurance Committee and Vice-Chief of Staff. He received his law degree in 1996 from Texas Wesleyan School of Law and has been a practicing attorney in civil litigation and medical malpractice law since that time. His unique knowledge of medicine, drugs, and hospital policy and procedures has put him in an ideal position for medical malpractice litigation. He is one of the few people in the entire country that have three doctorate degrees. He is the General Partner of The Law Firm of Dr. Douglas Wood. Put the experience of The Medical Malpractice Law Firm of attorney Douglas Wood to work for you if you have been injured by the fault of a physician, hospital employee, or other medical personnel or facility. Discuss your case with a doctor/medical malpractice lawyer in Dallas, Texas. Submit your case now for a free evaluation.